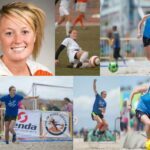 This is a Q&A with sharpshooter Kilee Quigley who is part of the very successful women’s movement in beach soccer taking place in Northern California. The interview was conducted by Aaron Rodgers on behalf of Pro-Am Beach Soccer. 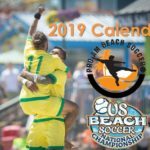 Kilee is an accomplished female striker who players with NorCal BSC has taken on beach soccer for so many reasons she did not believe were possible. She is a top US prospect looking for that opportunity which a few of her teammates have gained in Europe. The schedule of a coach can be tough as so many know, but she is patient and will wait for the opportunity to make her mark for both country, NorCal Women, and whoever else enjoys having a powerful goal scorer on their team. This interview provides a glimpse into one of the best the USA has to offer. Q: When did you become interested in playing soccer? A: My interest in soccer began when I was seven-years-old, in the second grade. I loved it from the start and it drove me to be a competitive person in my life. Q: Did you play soccer while you were in college or at a higher level than club? A: Idaho State gave me a soccer scholarship which was I feel lucky to have been able to not only play the game I love but for it to provide me my education. Q: What inspired you to become a beach soccer player and coach? 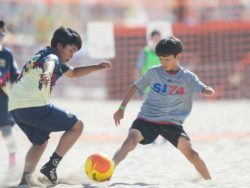 A: I love all types of soccer but beach soccer is because it has a smaller field, which means fewer players—not to mention that they are playing on the beach. I am an aggressive attacking player and this game suits me well. 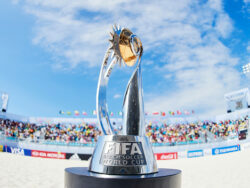 Q: How and When did you first become involved with beach soccer? A: My involvement with beach soccer began five years ago when a few friends entered a team in the Santa Cruz tournament. It just grew from there. Q: What do you like most about beach soccer? A: The competitiveness, learning a new style of soccer, and the atmosphere. It is a game with a distinct culture which really resonates with me. 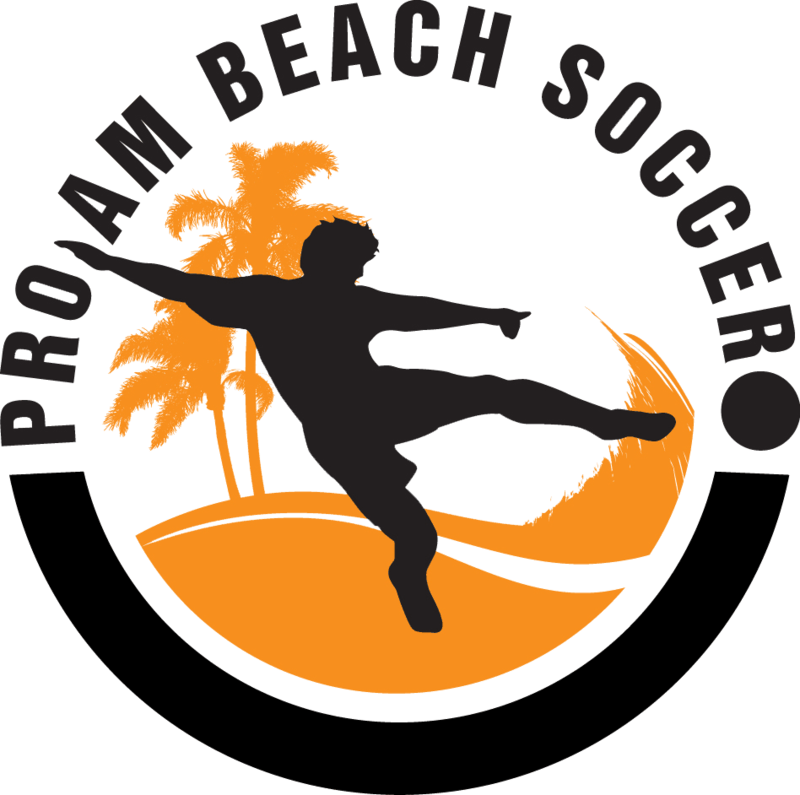 Q: Is there a difference playing beach soccer as opposed to regular grass soccer? If so, what is it? Q: How has your experience been playing with the NorCal Beach Soccer Club? Q: Do you have aspirations as NorCal’s most dynamic goal scorer of following your teammates who played in the European Championships last year? Would you welcome the opportunity? Q: Before a game, how do you motivate yourself? Q: According to sources, you work as a coach for the Mountain View Los Altos soccer club for four age groups. In your opinion, which group do you think would gain the most advantage of being exposed to the benefits of training in the sand? A: “All four teams would benefit from playing in the sand. I think the surface of the sand and the different style of play can help any player at any age. 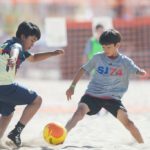 It allows them to think about the grass game differently and to develop skills which can be used on the grass, but not easily developed unless you do them in the sand. As our coach says, “Everything we do in the sand is 100% transferable back to the grass”. Q: How do you incorporate what you learned from playing beach soccer to coaching in the grass? A:“Tactically, they’re two different games. But, the act of playing in a different tactical system in close quarters allows them to see things easier as play develops on the grass. In the realm of technique, it helps with coordination, balance, first touch, and explosiveness. Field awareness and first touch are so essential for playing on the grass the sand helps expedite and improve these pieces of the puzzle much quicker than simply doing the same things all the time on the grass. It not really about incorporating one to the other, but more like one benefitting the other and there is no doubt sand does that”. 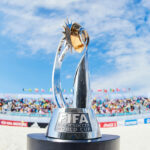 Q: Do the teams you coach participate in beach soccer tournaments? 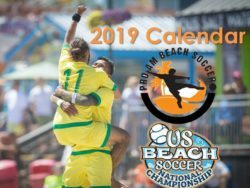 Q: Have you thought about your sharing your skills in the sand with your teams to possibly produce a national champion at this year’s US Beach Soccer National Championship? Q: In your own words, how do you think previous matches and experience on the beach have helped you as both a player and as a person? Q: Is there any advice that you can give to future soccer players?